Good gutters direct rain water to specific areas and provide flood control in extreme conditions. They also add equity and splendor to your home. We will provide you with a Free Quote to add new gutters or replace old leaky gutters. 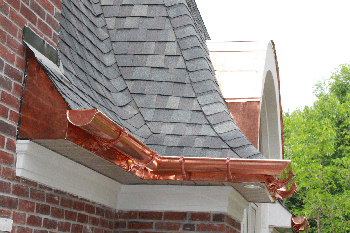 Our 1-piece guttering system is custom made on-site to fit your home exactly. We highly recommend gutter guards to practically eliminate gutter cleaning.